Think built-in pouring lines and its own ice ball mold. is the brainchild of a pair of brothers-in-law who set out to build a purpose-driven glass. The result has five key features: It is ice ball ready, double wall insulated, condensation-free, hand-blown, and – the feature that inspired it all – integrated with one-ounce pour indicators. Though the Duo Glass isn’t necessarily the perfect glass for every drink, its features certainly seem to have their benefits. 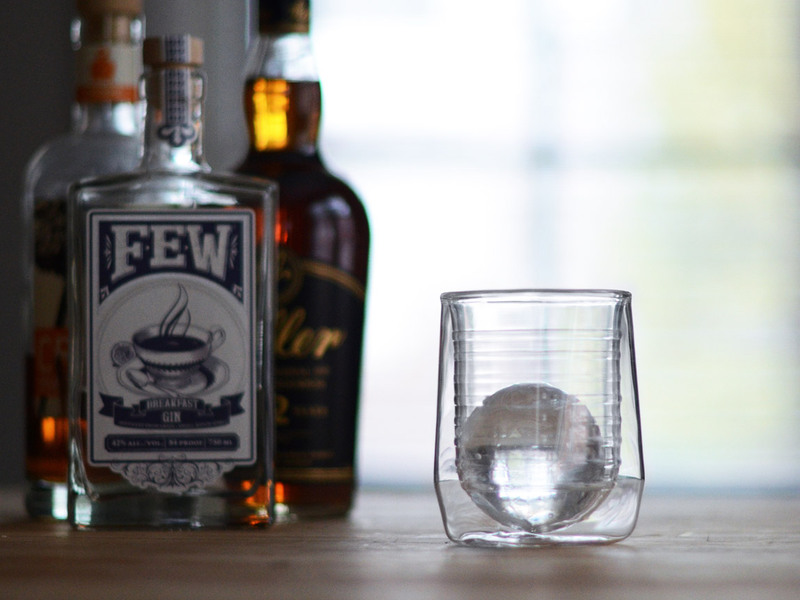 The curved bottom is designed to perfectly fit an ice ball, and just to make sure that’s the case, the glass even comes with its own ice ball mold. The double wall insulation keeps ice from melting but is also able to keep hot drinks hot. 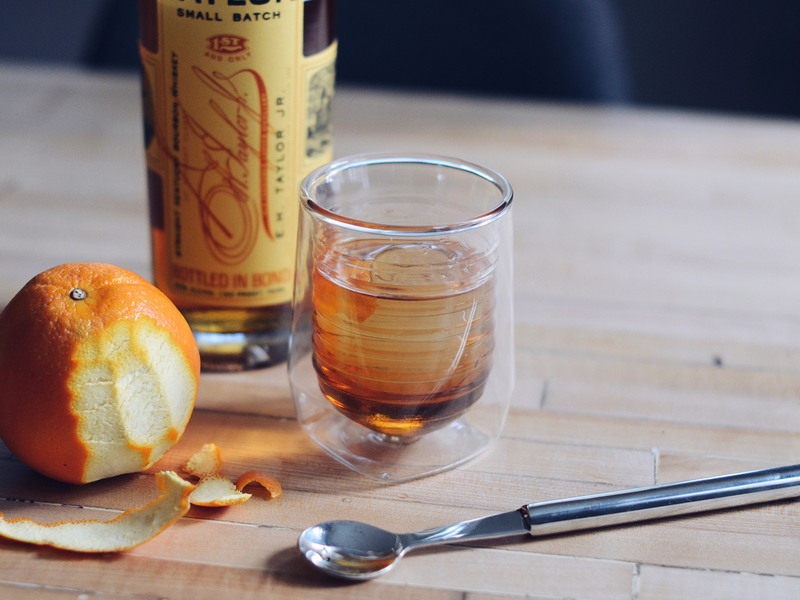 And yes, the one-ounce pour indicators seem well-designed, giving the glass a visually-appealing ribbed appearance instead of looking like the marks on a measuring cup. The main quibble about its “all purpose” design would probably be at the rim: Some drinks benefit from a focused nose while others are better pointing outward to let some of the booziness waft off. But admittedly, that would be a tough schematic task to tackle. The Kickstarter campaign just launched this week and has already raised nearly $10,000 from over 200 backers. A pair of Duo Glasses is currently selling at the early bird price of $28, set to be sent out in June. Once that’s gone, the price for two glasses jumps to $36. Of course, there’s an inherent irony that, by buying these glasses, you’re likely just adding to your glassware collection, but hey, you also never know where your next go-to glass will come from.